Check out the many vacation package specials available in Las Vegas, Nevada online. 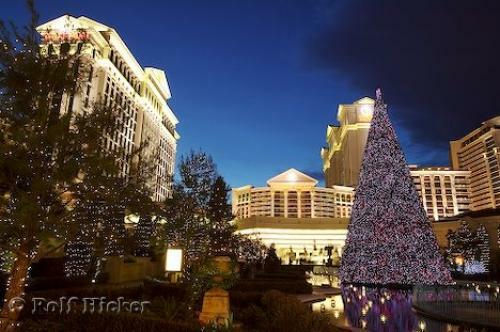 Photo of Caesars Palace in Las Vegas, Nevada with special Christmas lights adorning the hotel. ... Caesars Palace Las Vegas Resort Hotel and Casino, Vegas Strip, Las Vegas, Nevada, USA, North America. I photographed this photo with the digital SLR camera model Canon EOS-1DS, aperture of f/11.0, exposure time of 5/1 sec. on ISO 50, as always I used a original Canon Lens, the focus lenght for this picture was 25mm.